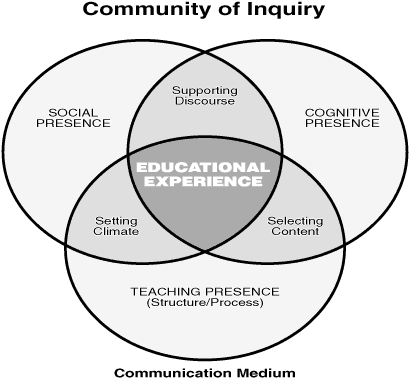 One of my favourite models for e-learning design is the ‘Community of Inquiry’ (Garrison et al. 2007), because it emphasises the importance of nurturing the social and teaching presences as well as the cognitive presence in the educational experience. This is in danger of being neglected when curriculum design goes online. Online discussions – great video from CoFA Online with experts sharing their tips for nurturing online discussions. The CSU online learning model – Great information for improving online engagement. They also have a mixer tool that looks really useful but I’m not sure what it does other than provide a short explanation of each element when you hover over the tiles and I must admit to getting distracted by the graphics.